Last year (oh, wait, in 2011?! 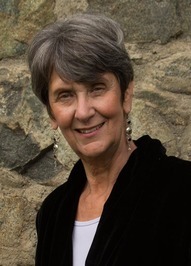 ), I read and enjoyed Anne Easter Smith's novel Queen By Right, so I was delighted when Ms. Smith agreed to answer some of my questions about the skeleton discovered in York -- now verified to be the notorious King Richard III. Your newest novel, Royal Mistress, touches on Richard's reign. When you began writing, what was your opinion of Richard? Now that you've finished, has it changed? Yes and no. I have been fascinated by this king for forty years and become more knowledgeable about him since beginning my research for “A Rose for the Crown.” He has always seemed complicated, and I think that is what I like about him. That first book told aspects of his story from the point of view of a woman who loved him, and necessarily, his positive nature shone through. I don’t think I whitewashed him in that book, but I gave readers a very different portrait of him than that of Shakespeare or most historians through the years. Because I had to look at Richard from my protagonist Jane Shore’s and her good friend William Hastings’s perspectives in “Royal Mistress,” Richard’s darker side emerged. Using the omniscient voice meant I could be in his head, too, and I show how he wrestled with many of the decisions he made and that those decisions came from a deep sense of morality and duty and were not always popular. No, he does not. Again, if you really study the contemporary texts, he comes across as a loyal brother, faithful husband, quite handsome and who established some new laws that benefited his subjects. It is the Tudor historians who began to spin the events that led to Richard’s crowning into a tale of a hunchbacked murderer. History is written by the winners, and the Tudors had wrested Richard’s crown from him and killed him. What is one thing you'd like readers to know about Richard? That loyalty is the most important virtue a man can possess. I would also like them to know that he loved music. Yes, the skeleton does indeed show scoliosis, which might cause one shoulder to be higher than the other. But hardly a hunchback. I have always thought the portraits of Richard show a man who seems to be hiding pain. I wonder if his back ached constantly. We know he was a magnificent soldier and known for his skill with broadsword and battleaxe. Hard to imagine a deformed man handling those immense weapons while controlling a warhorse! Lots of people have scoliosis and are not visibly hunchbacks. That was a word that was used by the Tudors to describe Richard--in those days, any deformity was said to be the mark of the devil and thus the person must have evil tendencies. There is no contemporary description of Richard to prove that he was deformed, however. 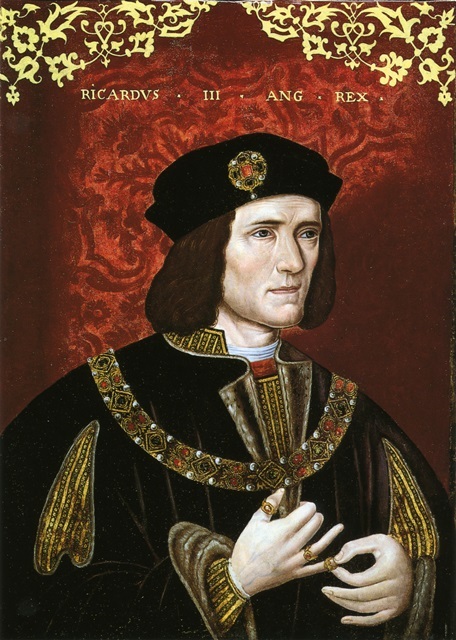 One portrait of Richard showing a marked deformity was x-rayed in the last century, and the hump on it was added after the original was painted! There's been some debate over where to inter the remains: York, Leicester, or even a state burial at Westminster Abbey with other monarchs. Do you have an opinion? I think Leicester is going to win out here. After all, they claim they have looked after him for 500 years (although hiding him under a parking lot doesn’t seem to me to be “looking after” someone!) and there is room for him in Leicester Cathedral. York Minster does seem like the right place to me and is where he had indicated he would prefer to be buried. But after writing “Queen By Right” and coming to really admire the parents that Richard of York and Cecily were, I’d be happy if he returned to Fotheringhay Church, where they and his brother, Edmund, are buried. Fotheringhay was the York family seat and where Richard was born in 1452. Now that Richard's remains have been found, is there another monarch mystery you'd love to see come to light? Not exactly a monarch mystery (because there really aren’t any more in England), but I would love to know if the pretender Perkin Warbeck was really Edward IV’s youngest son, Richard--one of the princes in the Tower. If you have read “The King’s Grace” you will know I don’t think he was, but it would be wonderful to have someone solve that mystery. That would then start to clear up what happened to those darling little princes in the Tower! Does this discovery change anything about what we know about Richard? Can we learn anything else about Richard from these remains? Sadly, it will only give us the facts about his physicality and how he died. 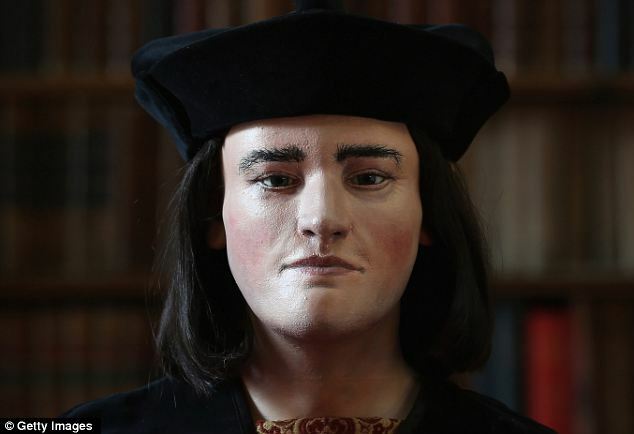 They now have the means to make a reconstruction of his face, and that will be fascinating for all of us who hold Richard dear in our hearts! Thank you so much for hosting me today and letting me talk about my favorite subject, Richard III. Learn more about Royal Mistress. Fabulous interview. I'm decidedly pro-Ricardian thanks to the fabulous Sharon Kay Penman and her masterful The Sunne in Splendour. I found Josephine Tey's Daughter of Time fascinating considering, as Anne mentions, it illustrates that there aren't any contemporary sources that point to Richard being evil. 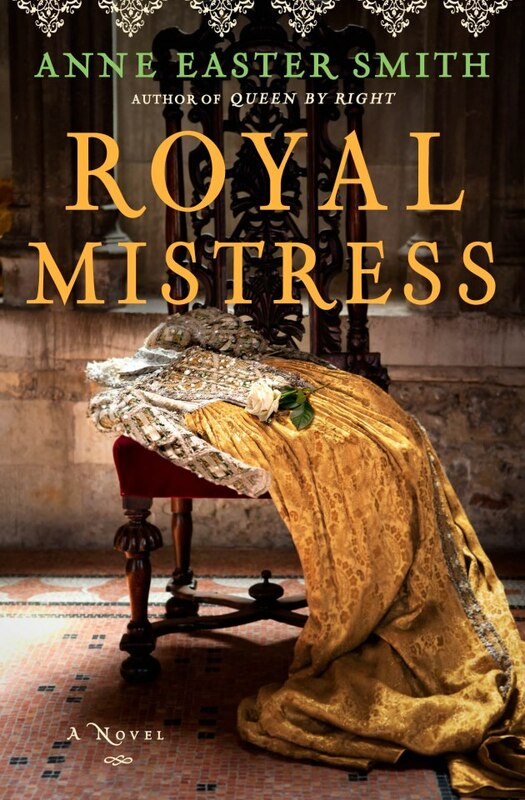 I just finished a novel about Jane Shore and am looking forward to reading Royal Mistress. Thanks again for the interview, Audra. Excellent questions! I'm interested to know if it's the Jean Plaidy novel "The Goldsmith's Wife" that Melissa is reading? I read that too, when it came out and I was a teen (yikes, I'm dating myself!) and before Ms. Plaidy had access to the new research done on Jane by Nicholas Barker in 1972. If Ms. Plaidy wrote a novel of Jane for the 20th century, then I hope I can say I have done such an interesting character of history justice in the 21st! ROYAL MISTRESS will be out in May, BTW.